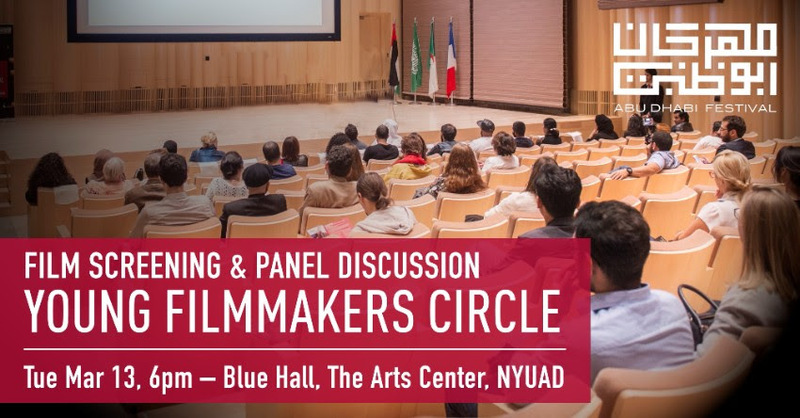 I've been invited by ADMAF to moderate a talk titled "The Importance of Short Films in the Arab World" which will take place after three short film screenings, on Tuesday, 13th March at 6pm in NYUAD Arts Center. The event is part the Young Filmmakers' Circle (which will also have three days dedicated to a screenwriting workshop) organised by Abu Dhabi Festival that celebrates art, music, performances and film with events taking place across several venues in Abu Dhabi. The talk will include filmmaker Amna Al Nowais, educator Greg Unaru, and partner of MAD Solutions Abdallah Al Shami. The film screenings and panel discussion are both free to attend, but you must register online here. Here's some more info about the films that will be screened (all will be subtitled in English). If you are in Abu Dhabi, please come and say hello. This comedy tells the story of the Nuns of the Sisters of Mercy. Located in the in the West Bank wilderness, their daily routine of silence and prayer is disrupted when a family of religious settlers crash their car into the convent’s wall. Ave Maria was part of the official selection at Cannes Film Festival 2015. It won Best Muhr Short Film at Dubai International Film Festival 2015 and received an nomination in the Short Film category at the 88th Academy Award® in 2016. An animated short film about two young boys who have run away from their mother’s protection into war, following their dream of playing an Oud. Exploring the psychological and physical effects of female circumcision, Amna Al Nowais’ powerful short film won the Best Muhr Emirati Short Award at Dubai International Film Festival in 2015.